Wow, it didn’t take long to get over 500 responses, so this must be an area of interest. 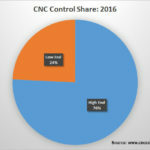 In this post, I will present the market share results for the different controls and compare and contrast these with our 2016 results so we can get an idea of what the market trends are. I will follow it up in a future installment that talks about customer satisfaction and some of the pros and cons of the various controls. 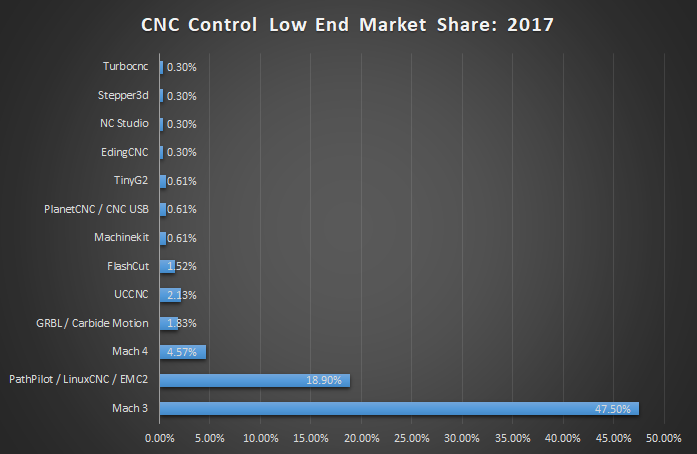 Mach 3 has gained a bit of share versus PathPilot / LinuxCNC. Mach 4 is hanging in there to slightly lower. Not sure what that means given it is the future of Mach 3. Everything else has fallen down the list. I read that last part as there are a lot more choices in the low end world than there were a year ago. It has fragmented the market quite a lot. Inevitably, this leads to a shake out and helps consolidate the position of the market leaders (Mach3 and LinuxCNC), but it takes a while for the shakeout to occur. 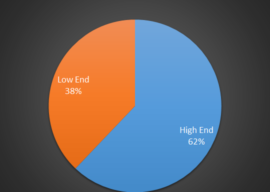 Those are just the controls with more than 1% market share–more than 5 responses on the survey. There are two few responses for the other controls to make a statistically significant comparison, but there were some 27 additional controls called out. 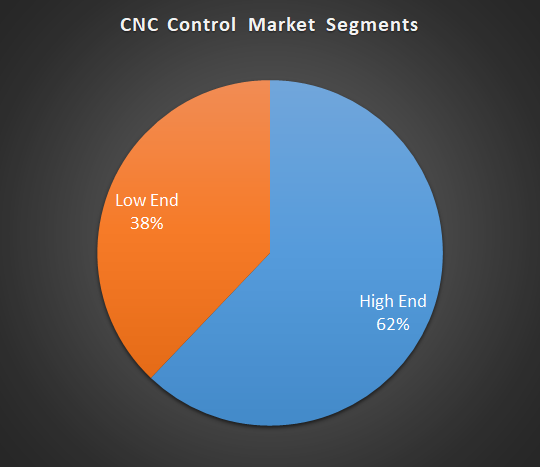 The world of CNC Controls is nothing if not diverse! Haas moved up quite a lot, from 3rd place 9% share to 2nd place 15.55%. Siemens, by contrast, moved down from 2nd place 11% to 4th place 5.18%. Centroid is another notable climber, moving from 14th place up to 5th. The next tier down with players like Mazak, Heidenhain, Mitsubishi, Okuma, Prototrak, Fadal, and Fagor are relatively unchanged. It’s always iffy to put to much stock in relative market moves. We may survey next year and find the places have changed again. Some of these motions reflect real competitive movement and some is just noise. 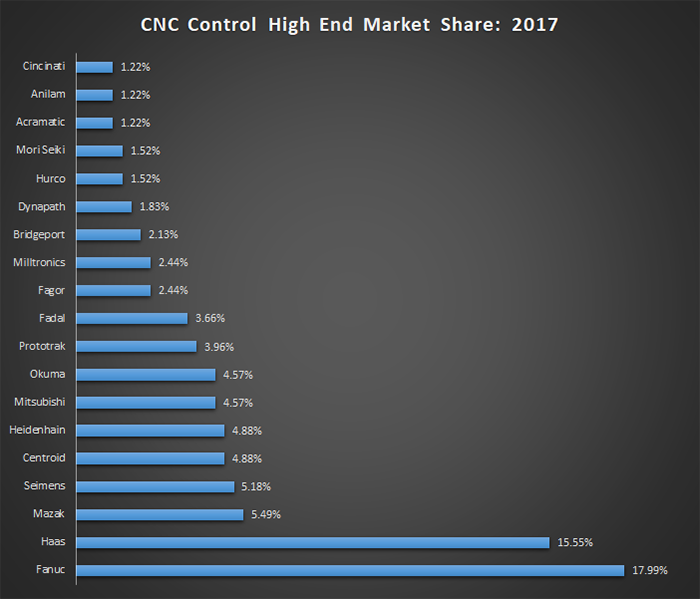 What’s clear is that Fanuc and Haas are way ahead of everyone else at the High End while Mach 3 and PathPilot / LinucCNC rule the Low End. 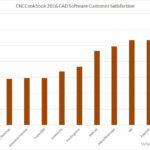 For the next installment, I dig into the results on customer satisfaction for the different controls. To make sure you don’t miss out on the future installments, be sure you’re on our weekly email newsletter. There’s no charge and you can sign up right below. 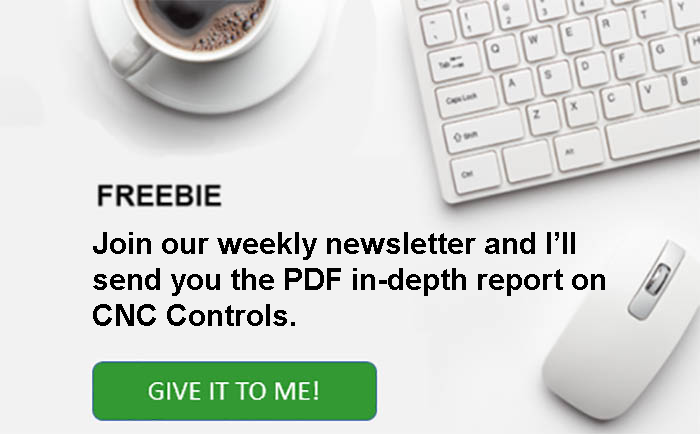 You’ll get all our premium content for free plus a weekly email digest of all our new articles. Meanwhile, what’s your take on the results? Tell us in the comments below. In my opinion, Mach 4 as not taken off for several reasons. 1. Cost. There is no upgrade path from Mach 3. Those of us that paid $150 or more now have to pay $200 for Mach 4. 2. Interface. There is a lot of hardware that has worked great for Mach3 that does not work for Mach 4. More cost and work to implement the new hardware. 3. Convince. Mach 4 can only be installed on one computer at a time. I frequently run simulations in the office before going to the shop. I think Don hit the nail on the head in regards to Mach3 versus Mach4. I know that’s what is holding me back. Just one computer at a time is a show stopper for me, the ability to simulate on a laptop while traveling or even in a different part of my shop is a significant feature. Would I be correct in assuming that the low end “controls” are mainly just control software, whereas the high end are software and hardware combined? Tony, the low end controls are split. 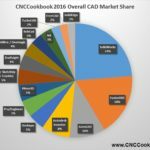 Some, like Mach3/4 and LinuxCNC/Path Pilot are software. Though PathPilot is really an integrated collection of software with a particular PC and Mesa motion control board. Others are single board controls based on Arduinos and the like. We have used almost all teh high end contorls at one point or another. Currently one of our machines is running CENTROID.. I’m very pleased with many of the functions and the ability to be converstational, but their implementation of simulation requires (or required at the time we purchased it[M400 Control]) was substantial and redundant. 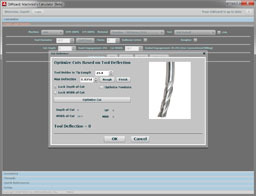 Any of the good cad packages now have an ability to run simulations with the Code that they produce.. The post processor libaary is extensive enough that you don’t have to write your own. Other than some minor annoyances, it is a very capable control that has delivered excellent value and productivity..
Tormach PCNC 1100 uses PathPilot correct? Hopefully MASSO will enter the discussion at some point. Though limited in scope compared to MACH3 (e.g. Currently does not support use of variables) its simplicity and ease of setup is really 5-star in my experience. They’ve added updates I’ve requested since installing a system in Q1 ’17 that have demonstrated a willingness and interest in improving the product based on customer feedback. No computer is an enormous benefit to me for some applications. Considering overall cost in the $500+ range for control software, controller itself and breakout board (all three are in one small DIN mount package) it’s almost a no-brained for some applications. 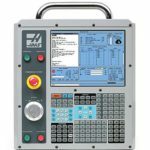 You have pathpilot / LinuxCNC / EMC2 together, why isn’t Machinekit also there? It’s a linuxCNC distribution made specifically to run on beaglebone black hardware, which is a linux SBC which uniquely includes pulse generation hardware sufficient for motion control with very low jitter. Remy, there are probably hundreds if not thousands of controls not listed. That’s why there was an “Other” blank on the survey. 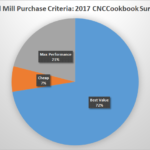 In this case, not enough people in the survey used Machinekit for it to show up. Ive heard good and bad about masso. Does anyone have an opinion based on actual experience with their products ?